Since the advent of Yelp, there have been a number of restaurant review and rating systems that have attempted to become the new, trusted standard for diners. Trusted is the operative word here because even (especially?) with Yelp, there are a number of known issues. Full disclosure: I'm maintained Yelp Elite Gold status for a number of years and it's clear that not vetting reviewers results in a flawed system with inherent bias. I've seen first-hand the damage done to restaurants and small businesses due to illegitimate reviewers or vengeful diners with an ulterior agenda. Enter Renzell. 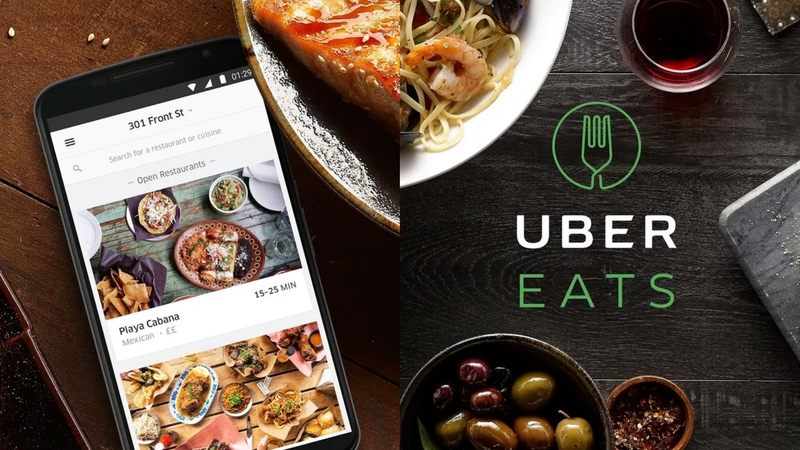 Offering an alternative to the status quo of subjective and fraudulent restaurant ratings, Founder Bo Peabody's goal is to provide an accurate assessment of folks who have actually dined at the restaurants you're likely interested in. Note that the restaurants that are being rated are at least a year old and are often known as the top destinations in each respective city. 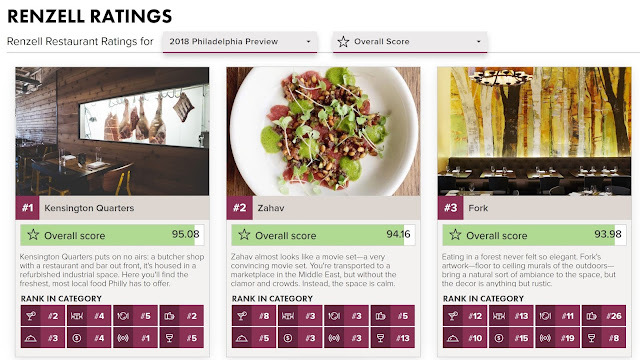 So regular readers rejoice - Renzell is offering you the inside scoop for destination dining in Philadelphia and other cities across the nation. After signing up to be a Renzell member, don't expect to randomly assign a 1 to 5 star rating to Philly's favorite restaurants. 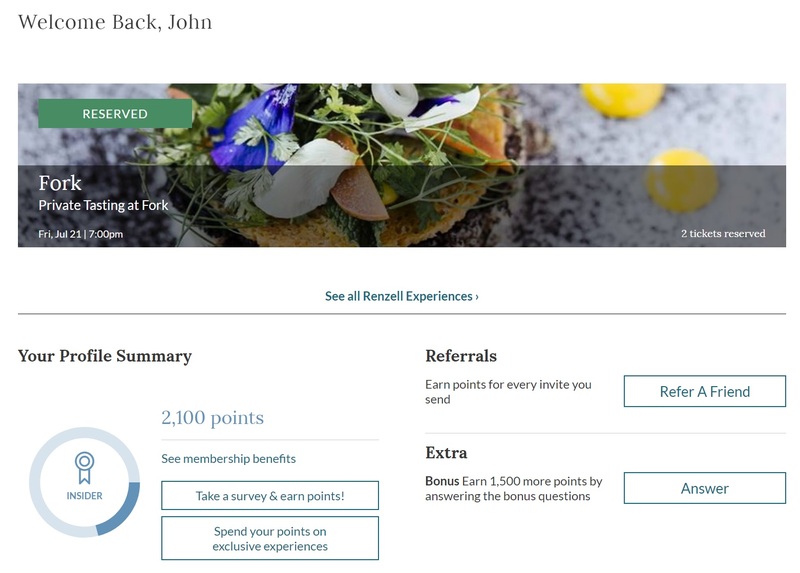 Feedback is provided through comprehensive surveys, with more than 70 questions on eight categories, including cocktails, design, hospitality, service, food, value, vibe, and wine/sake/beer. Hundreds of thousands of data points are then culled from these comprehensive surveys, weighted against member preferences, and run through Renzell's proprietary algorithm to eliminate subjectivity and bias. Official ratings are released every September (Philly currently has a 2018 preview released! ), with restaurants receiving a score from 1 to 100, along with breakdowns by the various categories. I hear you - 70+ questions seems like a lot right? (It's actually very intuitive and usually takes me less than 5 minutes). I mean, yes - you're supporting the underlying network for folks to obtain restaurant ratings that can actually be relied on. But beyond that, we all need added incentive, right? Renzell's got you covered. By completing surveys, dining at Renzell restaurants, and even inviting friends to join, you're on your way to reserving a free private tasting at some of your city's favorite restaurants! Think multiple courses with wine pairings at well-regarded spots such as George & Jennifer Sabatino's Aldine. So be sure to sign up and get started with Renzell. Later this month, I'll be stopping by the tasting at James Beard nominated Fork! Check back here in a few weeks to see what a Renzell tasting experience actually entails.